On occasion my friend and I manage to co-ordinate our busy lives for long enough to get out into the Peak District countryside. 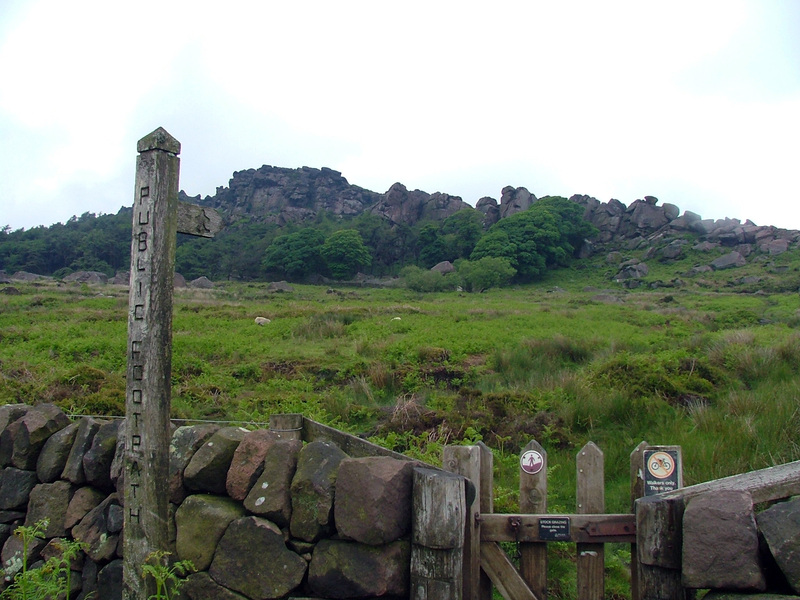 A few weeks ago we had planned to go over to The Roaches, The day arrived and of course, typically, it was pouring with rain. We decided to brave the elements and head out anyway, and I was so pleased that we did. We drove from Wirksworth, turned onto Via Gellia, and up to Newhaven, turning there and driving down to the Monyash/Crowdetcote turning. 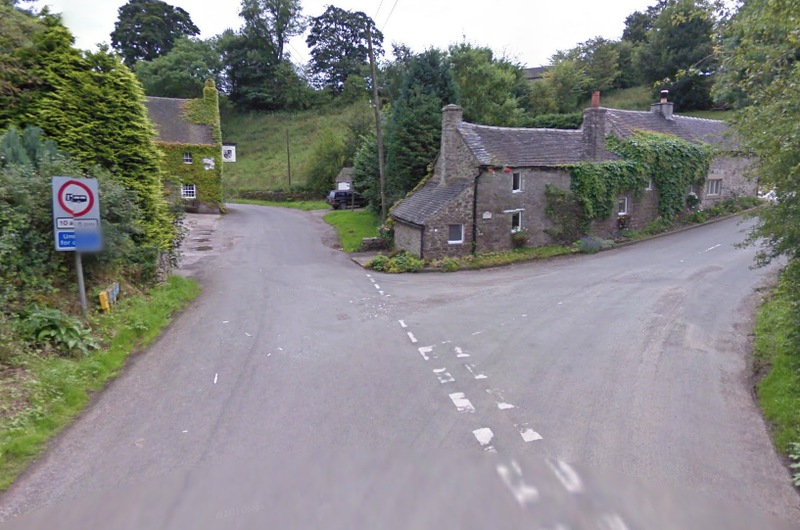 From there, we went through to Longnor and then right across the moorland to Emerge on the A53 near The Winking Man Pub. 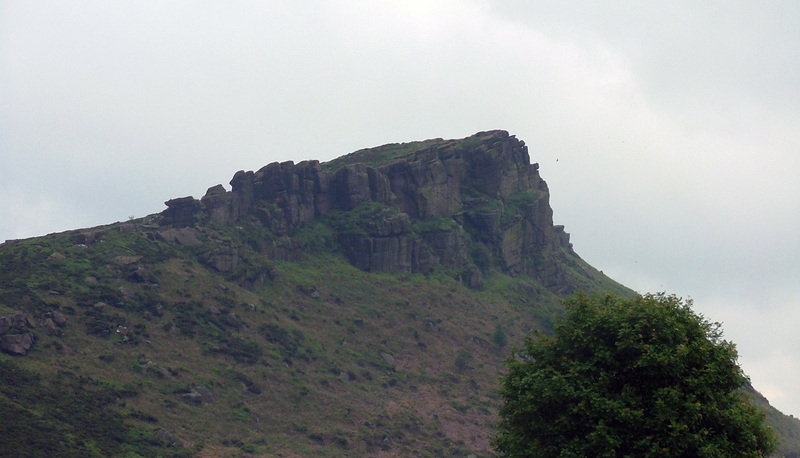 We turned left towards Leek, driving past the Ramshaw Rocks and the famous “Winking Man Rock”, (so called because the rock, which looks like a giant face that appears to wink at you when you drive past it. After half a mile or so we turned right at the sign for Upper Hulme. Follow the road past the pub, down the hill and take a sharp right. In the dip there are a few houses a small waterfall and some industrial units. 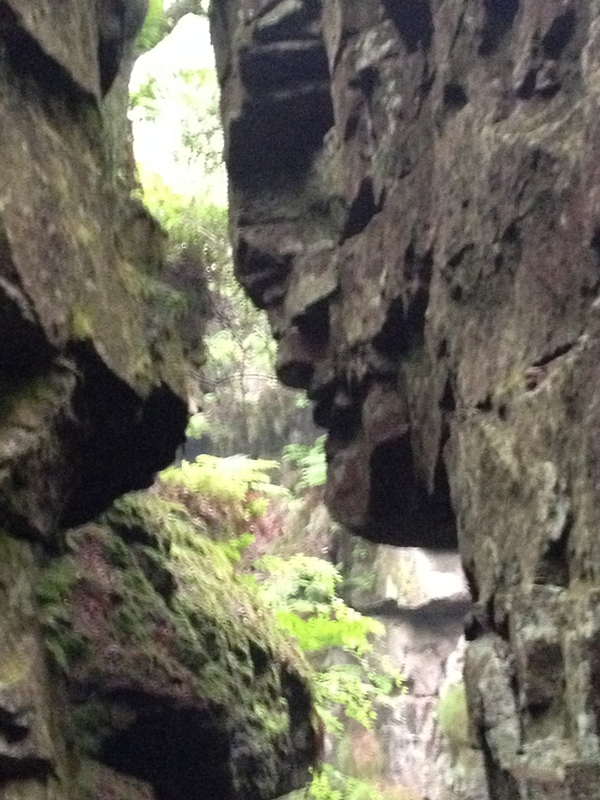 Go past these and you’ll drive under the imposing outcrop of Hen Cloud. 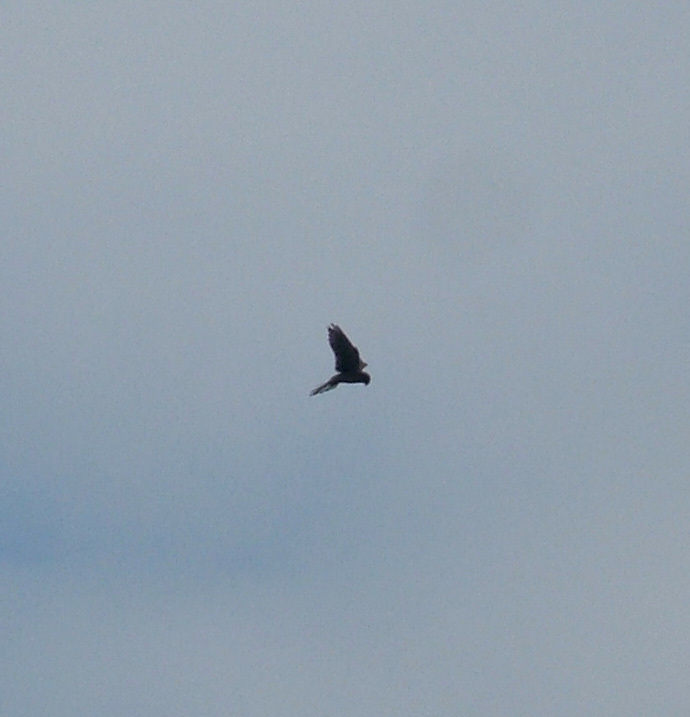 Hen Cloud – It doesn’t really look like a Hen. A bit further on you’ll find some parking spaces and you can begin your walk. 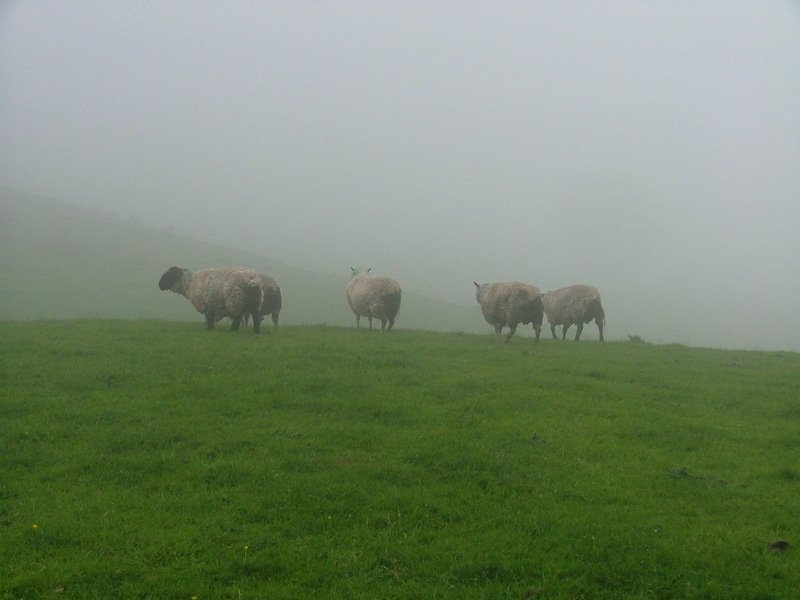 We strolled though the mist, chatting away. It’s good to just get out amongst the nature and walk. 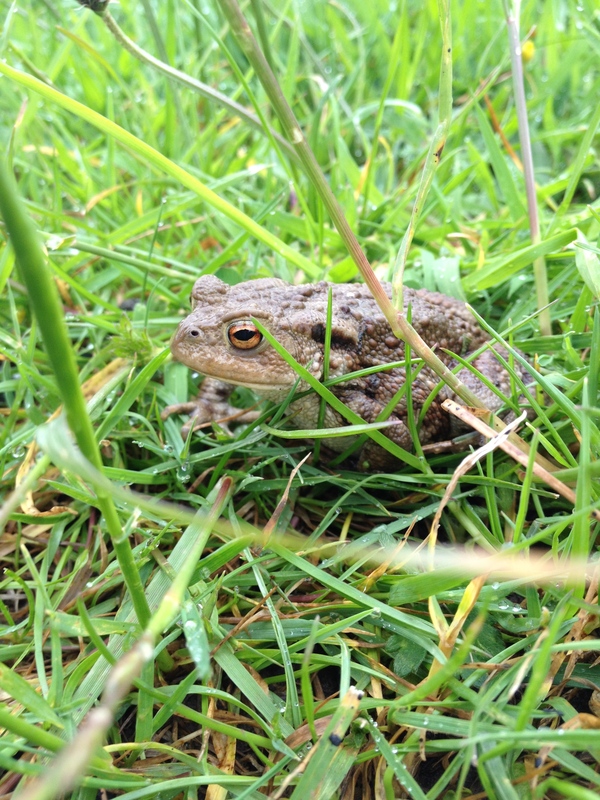 We could have driven a couple of miles up the road but would have missed, Buzzards, Kestrels, Horses, a young but sadly dead badger, a squashed Frog and a handsome Toad. 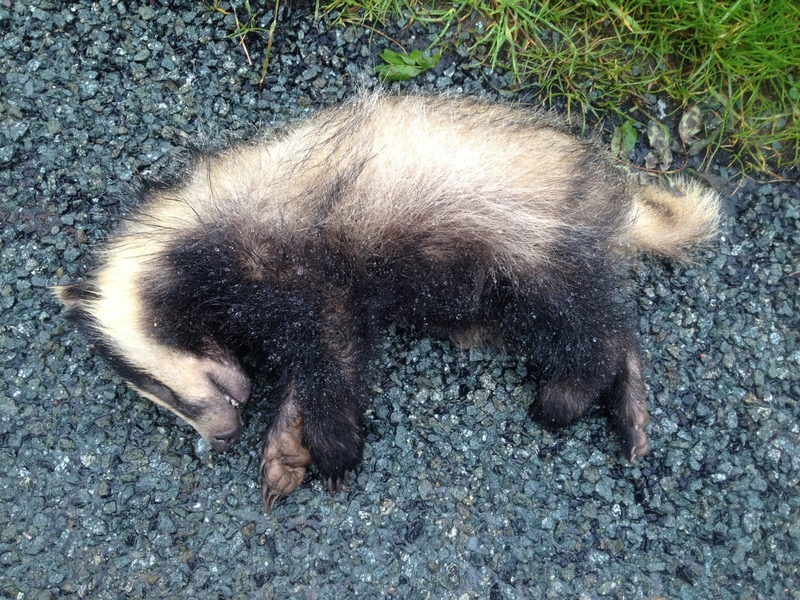 Juvenile Badger – Not a mark on it. As we walked on, we neared the woods leading down to Ludds Church. The photo looks almost flat but the descent into the woods was hard on my knees. We walked down and down and the rain eased up. This walk was fun, but there was a lot of mud, we had to carefully pick our way though a very muddy waterlogged wood, all the paths were thick with deep mud, so a little creative weaving through the Silver Birch trees was needed. Normally though, “stay on the path, kids”. Eventually we arrived at our destination. For those who don’t know what Ludds Church is, It’s a bloomin big chasm in the ground, you could easily miss it if you didn’t know it was there. 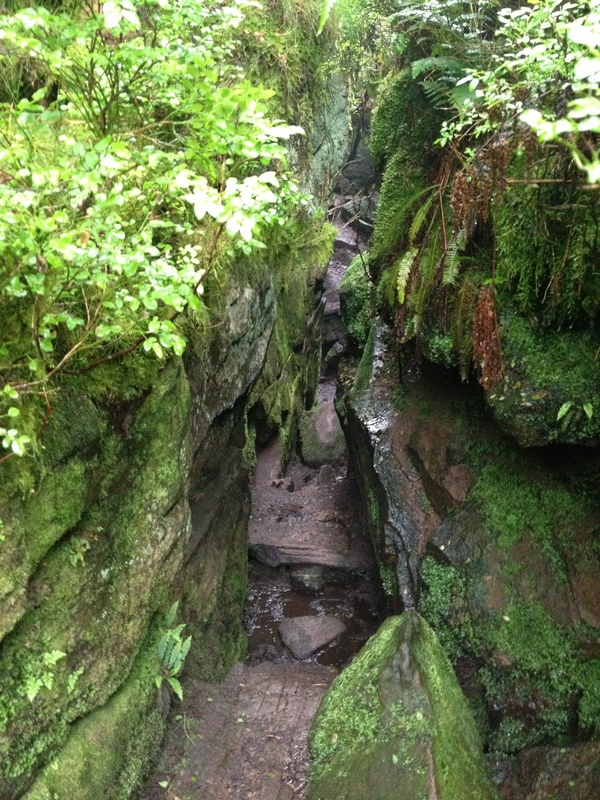 Once you enter it, it’s a totally breathtaking micro-climate, like a little rocky gorge in a rainforest. Ludds Church is a real hidden gem and somewhere that I’d recommend anyoneto visit. I’m annoyed at myself for not having been before. A little blurry but do you see the Green Man? On the way back to the car our nature trail continued. 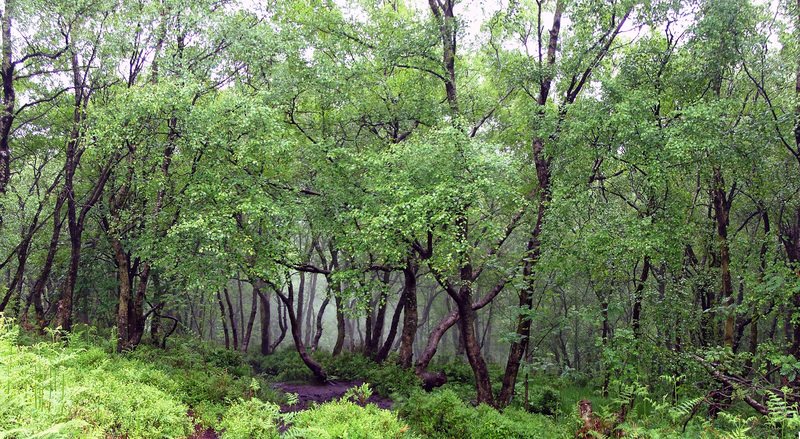 There were contorted trees, with wonderful branch formations. My guess is that they must have been mauled by extreme weather and then healed, leaving truly creepily formed branches. 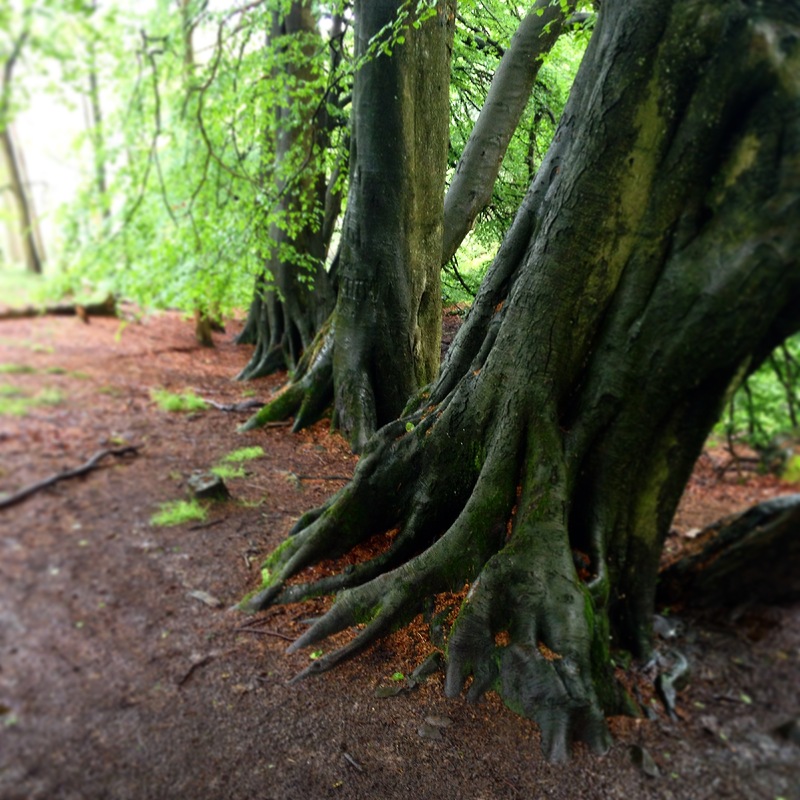 Then there were ancient Beech trees with exposed roots, again looking as though they had seen a changing environment and adapted to it. 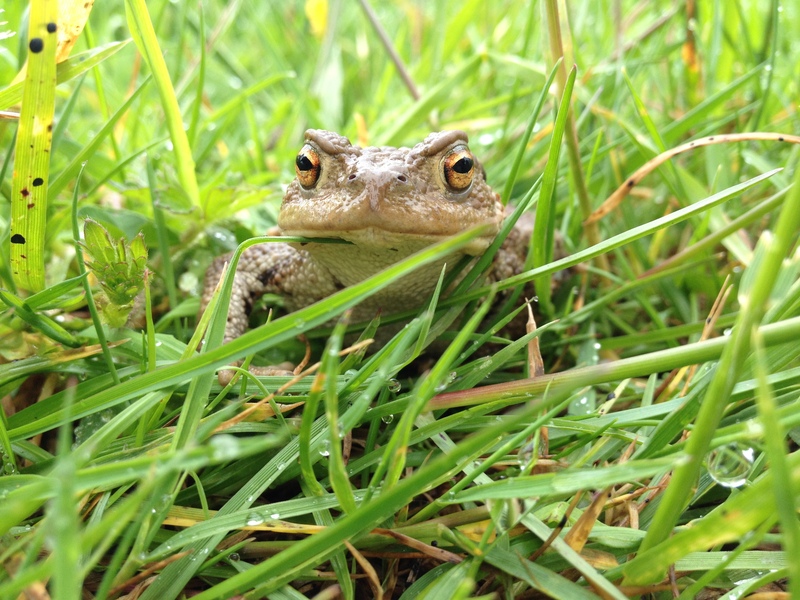 On the way, back we were lucky enough to find this handsome looking toad, who was kind enough to pose for photos. 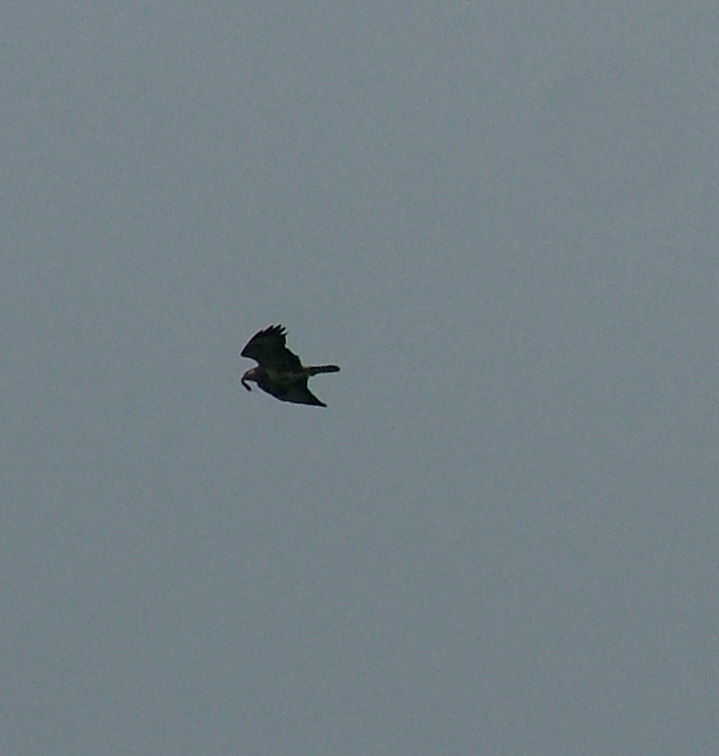 We were treated to arial displays from a Buzzard and a Kestrel. Meanwhile, the sheep looked on. If you liked this blog, please consider leaving a comment. Perhaps I missed something, or maybe you have a question, let me know. I often like to get out at the weekend. I have to drive about a forty mile round trip to work each day, so inspiration is pretty easy to come by. Before the nights drew in, I often went “pootling” off the main roads to see what village or hamlet lay just off the beaten track. 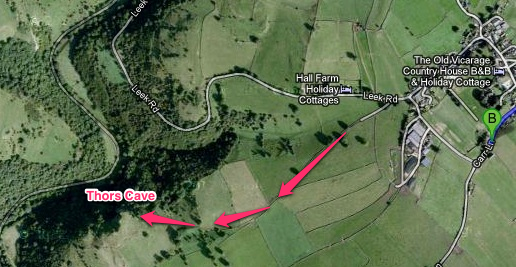 I recently remembered that Thor’s cave wasn’t that far from my daily route to work of Matlock to Buxton. 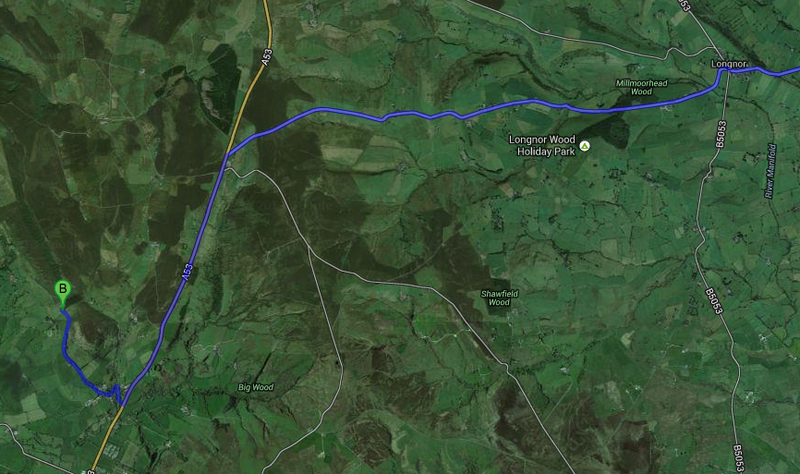 Taking the A515 route you get to see part of the Peak District not that many of us Tideswellians see often. Taking “The Ashbourne Road” as it’s known, allows you to dip in and out of the country as the road runs close to the Derbyshire/Staffordshire border. 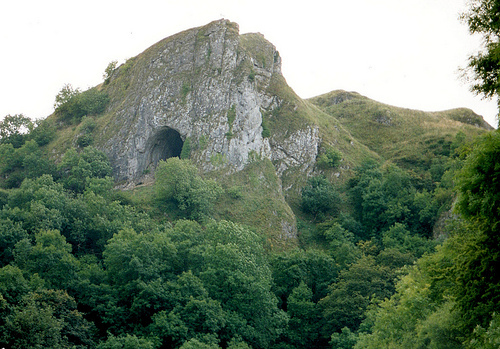 About 12 years ago I went with my friend Dylan to Thor’s cave, we drove from Stoke to Ashbourne, then down into Dovedale, Ilam, then up to Wetton and Hartington. We walked down Beresford Dale in the Manifold Valley. The cave itself itself was up a very steep path that, on a hot summers day can be quite an ordeal for the very young, rather old or the pretty unfit. I needed a different route. This time I had my daughter and my Good buddy Daws along with me. My daughter is eight, and the weather was showery and damp. I was unsure of what she could and couldn’t do, so I’m introducing her to walks gently. We drove from Wirksworth down to Ashbourne, driving past Carsington Water and then at Ashbourne turning back onto the A515. 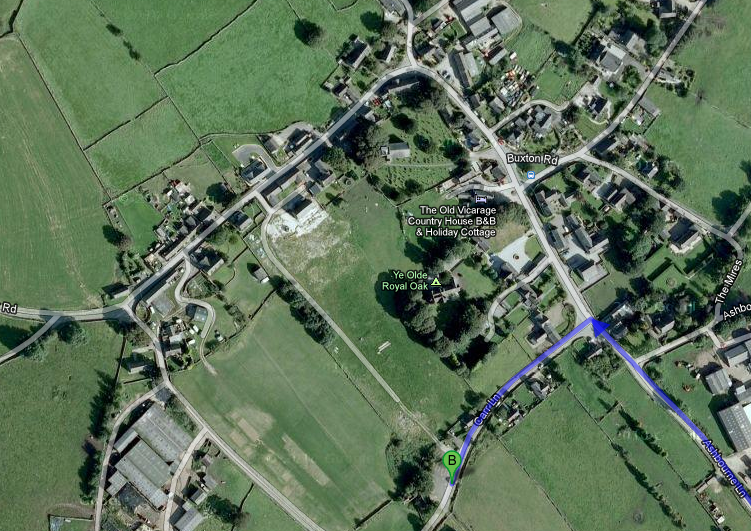 Drive through Fenney Bentley, and keep heading towards Buxton. When you see the sign for Alstonfield and Mill Dale, turn right on to Green Lane. Follow the lane down and you drive over the bridge at Milldale. Here you can turn left and drive alongside the River Dove, or you can go up the Hill into Alstonefield (slightly longer). If you do go into Alstonefield, just follow the signs for Wetton. Either way you will arrive near a pub called the Watts Russel Arms. Keep following the signs for Wetton. 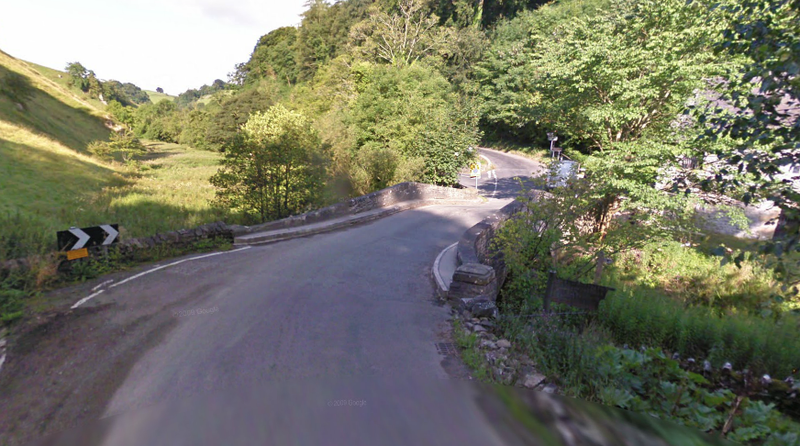 If you follow the signs you can’t go wrong, The road on the right (above) is called Wall Ditch, follow it, take the 2nd right onto Ashbourne Lane, This brings you into Wetton, turn right onto Carr Lane and you’ll find the small car park. From there, it’s just a short walk round the corner and down a lane, which leads you to styles. As you go over the styles, you walk down into a dip, then slightly up the bank, don’t go all the way up unless you want to go above the cave. You will see a well worn path leading down on the left. Go down the bank to the Cave mouth. The Cave itself looks so impressive from the road and valley below. Once you get inside it though you realise, that this is something pretty special. For facts read the Thors Cave Wiki Page. A few Photos from our Trip. If you liked my blog post, please leave a comment. Tell me about your trip, where else should I be visiting? Drive / Walks are good. You just get in the car and drive to the area you want to go walking do a few miles and then you have the comfort of the car to ferry you back home. Everyone’s a winner. This particular shot is a smaller version of a large panorama I shot from the top of Parkhouse Hill, Glutton Bridge. It was quite late in the day when we arrived and so we didn’t get chance to walk up Chrome Hill. I doubt the view could have been much better. See the Full Size image on my Flickr account. 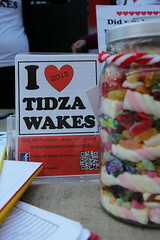 If you are from Tidza or just staying in the Tideswell are, and fancy a trip to “The Dragons Back”. I have included a route, below. 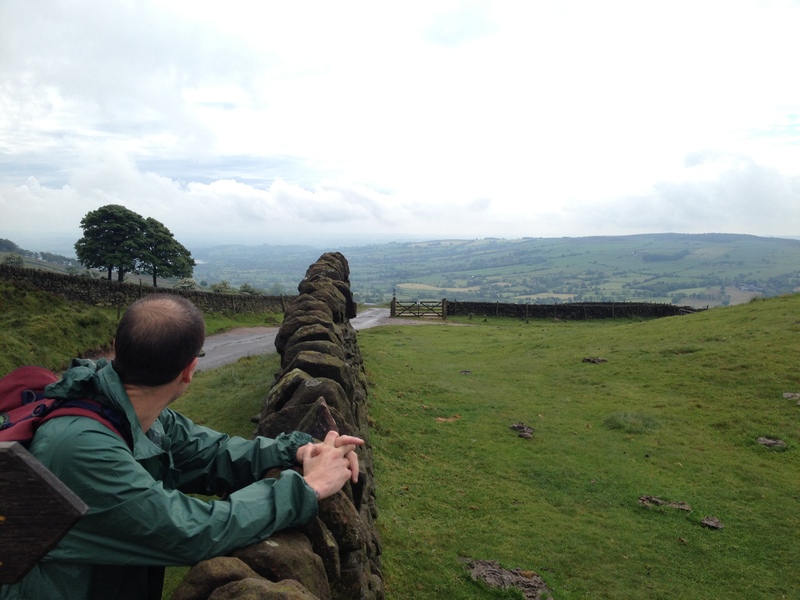 I wrote in my last post about how I am rediscovering the Peak District since moving back to the area in June 2012. Living in Matlock Bath, I’m ideally placed to visit many towns and villages that were previously just a little far out of my reach. 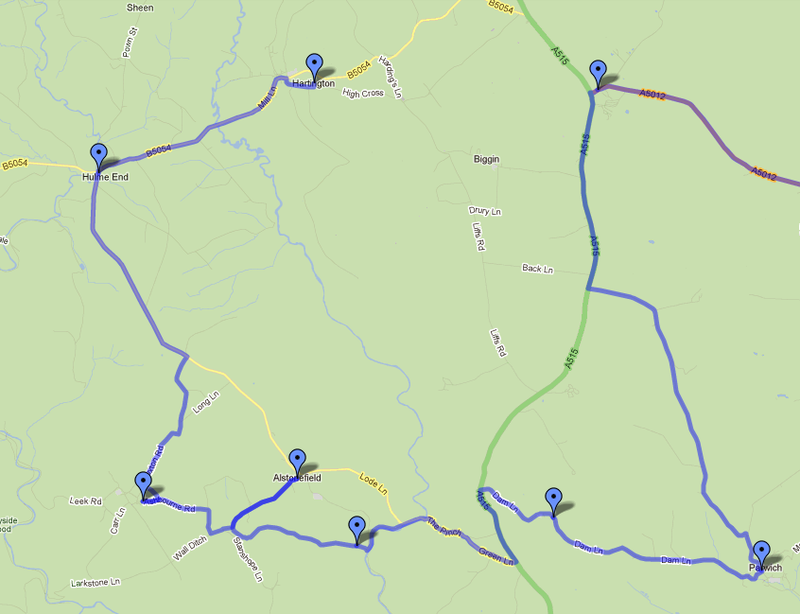 Most days, I drive from Matlock Bath up through Cromford and over the Via Gellia rd to Newhaven. 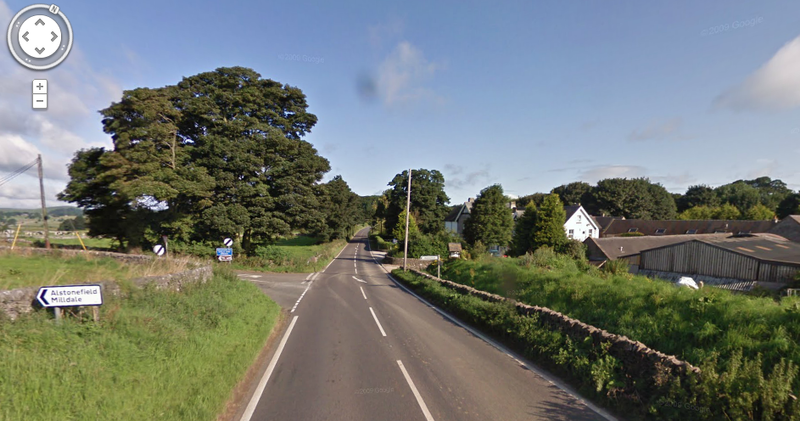 From there I turn right and head into Buxton. In the first few weeks of my journey I noticed a number of signposts to villages I’d never visited or even heard of. As I outlined before, in the post entitled, “A local stranger”, my curiosity got the better of me and of late I have been paying brief visits to these towns and villages, with the purpose of returning for tea, cakes and a few well scouted photographs. 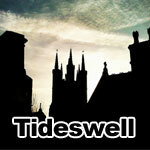 This week I decided to investigate the villages closer to Ashbourne. Villages I have noticed in recent weeks include Parwich, Alsop-en-le-Dale, Alstonefield, Wetton, Biggin and Hartington. Now I’ve visited Hartington a few times before but the rest were all new to me. 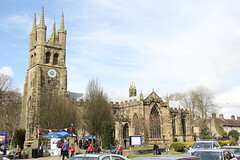 The great thing about visiting this part of the Peak District is that it straddles the Derbyshire/Staffordshire border. 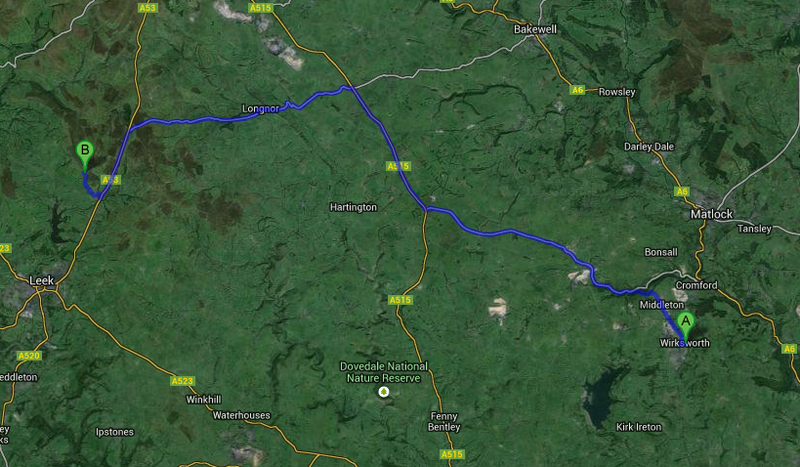 You can cross several times between the counties as you drive from one small village to the other. The scenery is a little different from the Northern Peak. Rich Farmland sits alongside Moorland and wooded hills with the River Dove and the River Manifold flowing in the valleys. Another great thing is you can make a mental map of where the pubs are. This particular trip was inspired from a conversation I had regarding Thors Cave. Many years ago, when I was at University,some friends and I walked up through the Manifold Valley and up into Thors Cave and beyond. 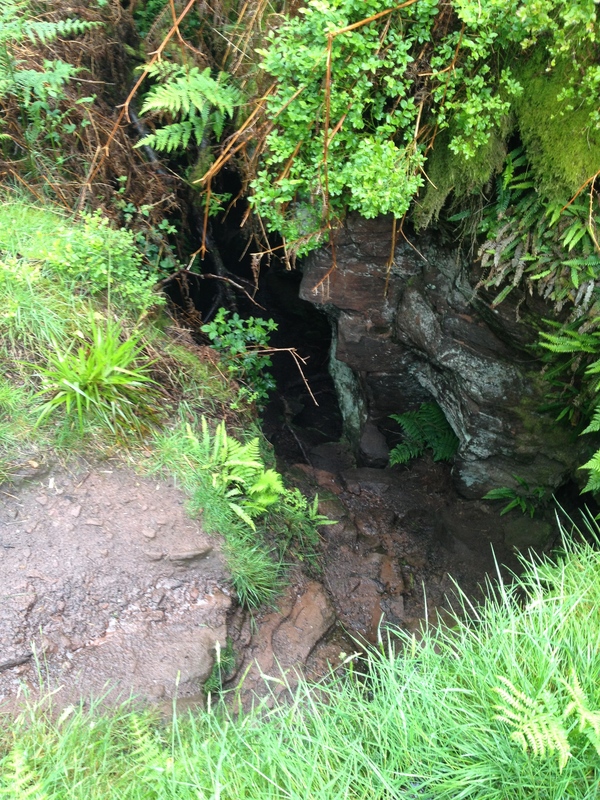 I had decided to try to find Thors Cave again, not to walk to it but just plot the route. I wasn’t disappointed. After a lovely drive around the villages I finally came to Wetton. I asked a local which way to go and, as luck would have it, I was on the very lane that led right past the cave. Of course, I was keeping my eyes firmly on the road, but I did manage to pull over for a moment to look at the cave. It was much bigger than I had remembered and I’m really looking forward to the next fine weather day, so that I can pay it a visit. With every day that passes by, I’m loving being back home in the Peak District, more and more. Please leave me a comment if you have visited any of the villages I have mentioned. Maybe you can make me a recommendation? Tell me about something I must see of a place I need to visit. I promise to go and take plenty of photos. The Audio File of my talk at the mens Health Conference in Stoke this April. I have a Carrier Bag Full of “Green Army Men”, about 200 men and accessories. They are painted though. Most quite well. Would suit a Soldiers crazy little person. It was a stimulating day of quick presentations and discussions designed to fire up thinking, build knowledge and forge new collaborations. Everyone got to contribute to plans and improve networks with the aim of making learning and good health available for everyone. The venue made use of ‘open space’ and breakout sessions where delegates could ask questions, share good work and discuss the big issues. The conference was aimed at Health and learning practitioners, community volunteers, and anybody working with men and wider communities within Stoke-on-Trent and Staffordshire, plus anyone else passionate about learning, health or wellbeing. Organisers were keen to stress that although the project is about men’s health, many of the issues discussed apply to everyone. The delegates arrived as early as 9.00am to mingle and network until the main proceeding got underway at 10:00 am. Phil Thomas (6 Towns Runner) spoke of his experience of being ill as a child and how his parents worked hard to support him, he described his mission to run 12 half marathons in 12 days to raise money for a local charity, as his way of giving back to the community. I was invited to speak regarding my Movember fundraising efforts. I described how a disparate group of men, got together to raise money and awareness about Prostate and Testicular Cancer, and also about my own recent cancer scare, and how to get properly checked out. Listen to my talk below. Bret Shah from 6 Towns Radio / Happiness project came to discuss how he had turned his life around by acting upon advice from self-help books to assess how satisfied with his life he was. He identified key problems and set about making changes to improve his wellbeing. After lunch, we heard from Mark Porter & Shane Rankin spoke about the “Check em Lads” initiative, and their upcoming local initiative called “Check thee sen“. 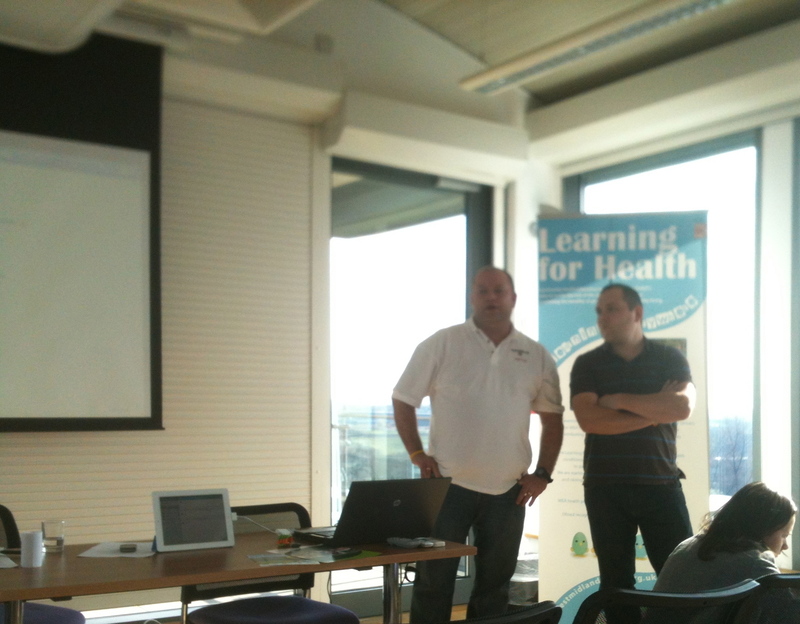 They had a live link-up with Mens health activist Nick O’ Hara Smith of the Androids website. Nick campaigns to raise the availability of Male Hormones for boys who are deficient in it and for those who have suffered from testicular Cancer. The day was concluded by informal coffee at the Mitchell Arts Centre. The Health Maintenance for Men project has been funded by the Skills Funding Agency and is one of NIACE’s Adult & Community Learning Fund projects. Our aims are to raise awareness of important issues that affect men, develop and pilot flexible learning materials and demonstrate their impact plus showcase a wider range of work that has a positive impact on men’s health. 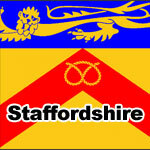 We also want to help build up closer working links between a range of people interested in improving men’s health in Stoke-on-Trent, Staffordshire and more widely. Well, May has been a bit of a weird one April was so unbelievably hot and it was mostly wasted. The ground was so hard I couldn’t dig it. I had to borrow a pick -axe. By the way the Pick-axe is by far the most useful tool I own now, perfect for clay soils. Anyway. 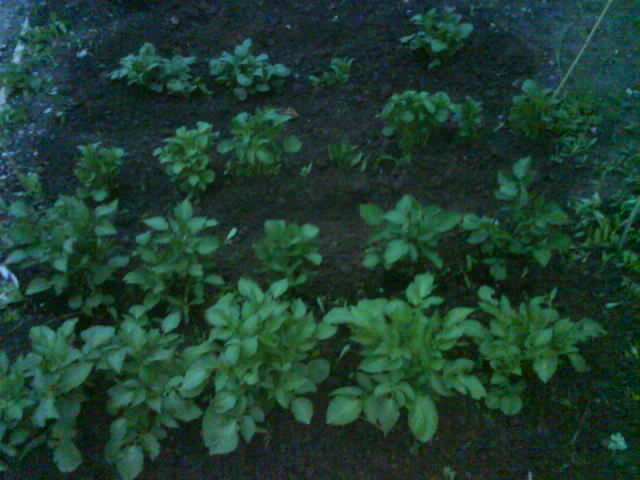 Tonight I managed to put about 5 rows of spuds in. 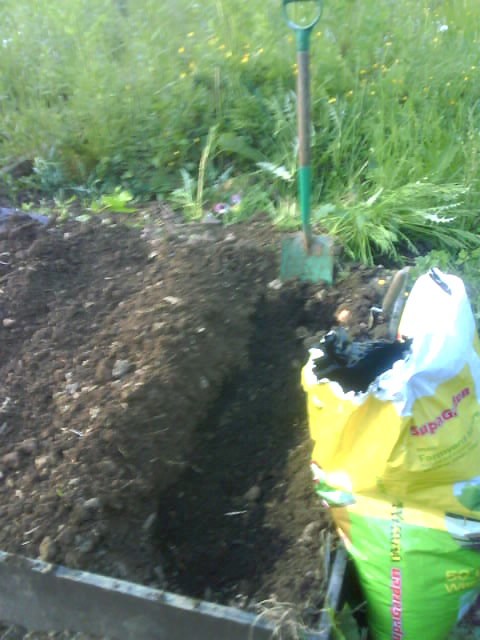 I dug the trenches and using some shop bought Manure I got the taters. The great thing about raised beds is that the soil is so easy to dig. Furthermore once it’s conditioned, its good to go for next year. 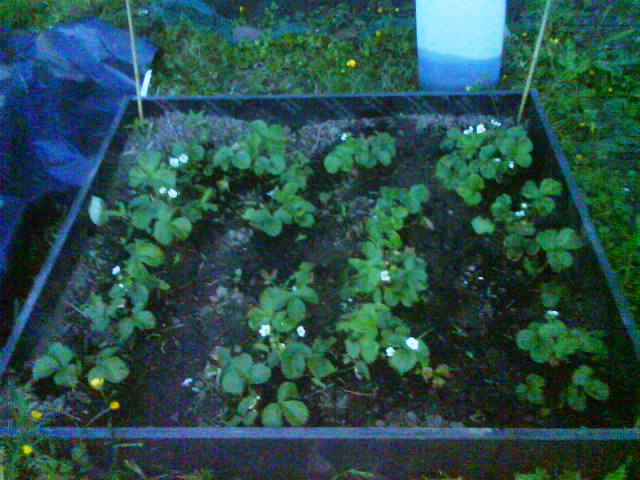 The Strawberries seemed a bit sickly until last week when they started to flower. now they seem to be increasing in size too. I gave them a bit of manure too. Usually I’d add it in to the bed early but couldn’t because I hadn’t found a good supply. Hopefully it will give them a boost, and help them produce plenty of fruit. The White container you can see is my Nettle Manure…I simply stuffed a load of nettles into the container and filled it full of water, and left it for a month. It bloody stinks, but is apparently full of nitrogen, so should be good for my Peas. Well I went up to the allotment for the second time this year. I had a couple of hours so thought i’d mark out some beds and dig a bit over.Money is going to be a serious issue this year. With the cost of living rising massively I have even less to spend this year than last year. but i’m going to spend more on the allotment and less on beer. At the end of last year my daughter and I went out and collected 4 big bags full of fallen leaves.I put them into the compost bin I made along with some old potting compost and plenty of water. When i checked out how it was doing. I was pleasantly surprised, after just a few months I’d say its a bout 40% compost already. As I stated to turn over one of the beds I dug last year but never actually used I was pleased to see it was full of worms, something I seemed to be lacking last year. I put a fair few of them into the compost heap to help get it going even faster. I hate being in a competition with other gardeners but have noticed that quite a few of the other allotmenteers are already underway. My whole plot needs digging over. Got to get my arse into gear. As a final note. I enlisted my friends help tonight and we picked up a load of slabs from a local bloke I met on Twitter tonight. They will help make lovely paths and the edge of a pond. Well I went up to the allotment for the second time this year. I had a couple of hours so thought i’d mark out some beds and dig a bit over. Money is going to be a serious issue this year. With the cost of living rising massively I have even less to spend this year than last year. but i’m going to spend more on the allotment and less on beer. 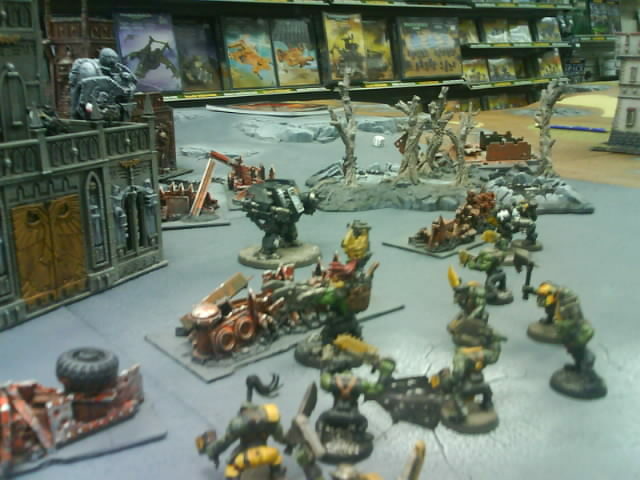 Bobbed into Games Workshop the Other day and was indulged in my first ever game of Warhammer. It was quite fun. Can’t see me getting into it any time soon though as it’s very expensive. GW have changed the whole paint range and many of the techniques. 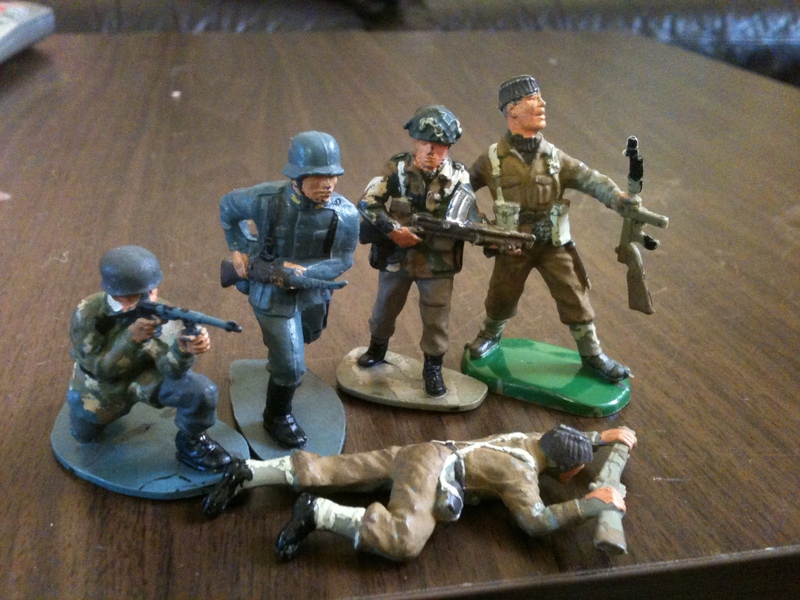 Most of the figures are plastic now but there are still a few metal ones. Still, as I said expensive though. After a nice bit of gaming I bobbed up to a brilliant little pub called the Coachmakers Arms. A few months ago the Coachmakers was in serious danger of being demolished to make way for a new bus Station, however the pub seems to have had a reprieve for now. That is very welcome news for drinkers like myself who love a drop or two of real ale. The tap room and corridors have loads of amazing and rare beermats on the wall, and there are musical instruments in the backroom, so you can have a good old knees up. 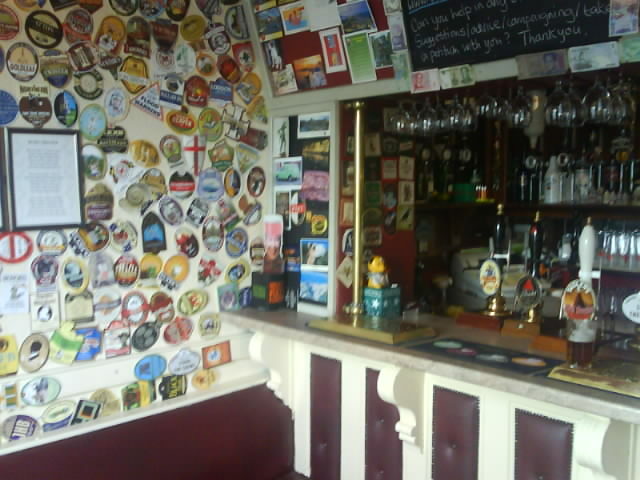 They do have some seriously good real ales in here so, if that’s your poison get yourself to this pub pronto. 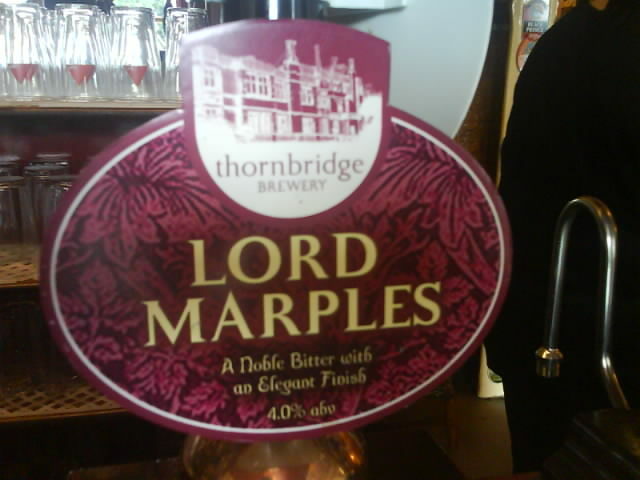 I sample the Lord Marples, made at Thornbridge Hall in Derbyshire, oddly enough only a few miles from my home town of Tideswell. The Other night we went up to the allotment during a brief respite from all the rain we have had. We were happy but surprised to see that the Peas had really come on. 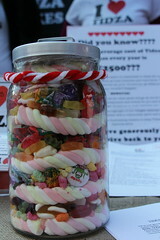 We didn’t have a huge amount of time but we picked a few, and ate a few, and they were deliciously sweet too. 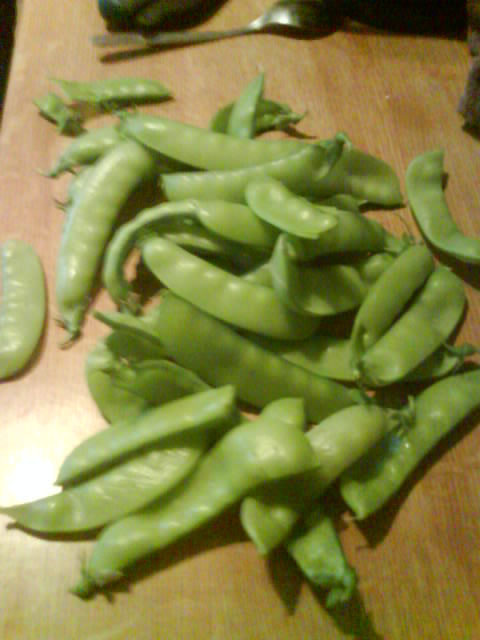 The Peas have been more of a success than the strawberries really because they seem to have all turned to much, or been eaten by birds. Ahh well, you have to give a little bit back to nature I guess. I think the Potatoes wont be too long now. And maybe a few string beans too. Then tonight I dropped by the plot just to check on how the peas were coming along because there was quite a few that just needed a few more days. I wasn’t disappointing as I could tell there were plenty ready for picking. I did a bit of weeding first and made a compost heap and that’s when I noticed a massive Courgette. It was a beauty. The others aren’t quite ready yet but should be by the end of next week. Check out the very first Courgette from my plot. 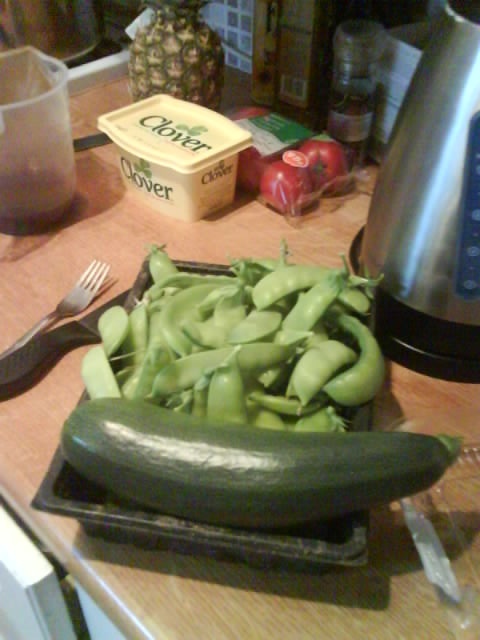 I’ll bring you more photos of the bounty I pick from the allotment as I pick it. I would bring you photos of the beautiful layout, but there isn’t one. Its a bit of a mess at the moment, and will remain so for the rest of the season. I’m planning a layout change at the end of season. I’m just pleased to have some produce this year, next year I start in earnest. I hope you enjoy these little updates. I certainly hop you are not under any illusion that I might be some kind of wonderful gardener. I’m really not. However, I do enjoy it so for now I’ll continue to bring you updates. The plan this year, now I know how much hard work an allottment can be, is simply to grow something, just what we need. This year there’s not going to be any great amazing crop. Nothing planned to deliver harvest every week of summer and well into winter. Instead we might get about 50 spuds, 50 pea pods and the same with beans, a Few carrots, Leeks, onions and courgettes. 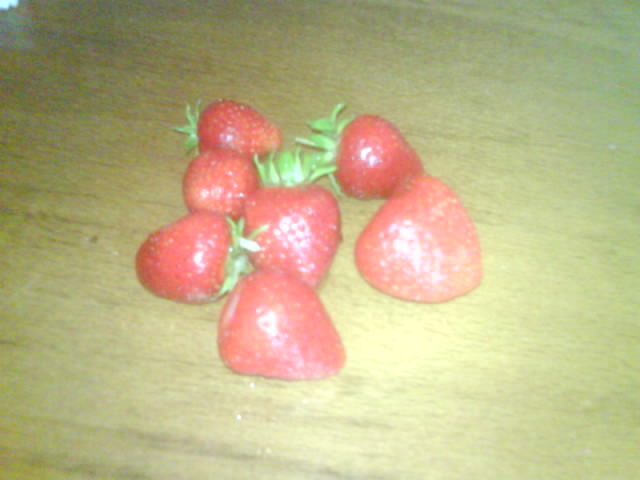 I have already had a few Strawberries though. Here are a few pics of how things are progressing. Courgettes, Taste good but I find the plants ugly. 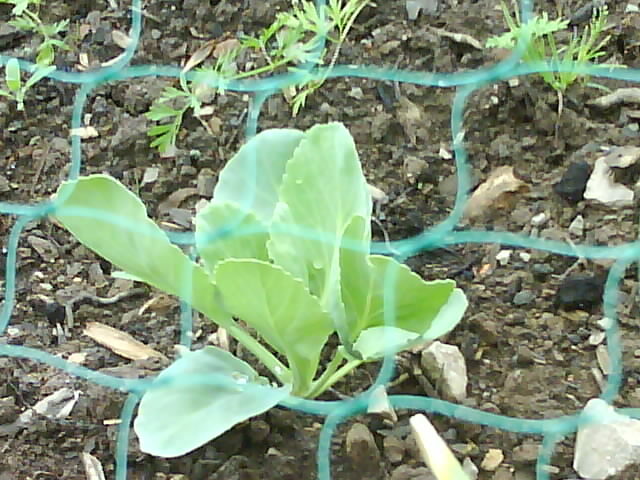 I’m a bit gutted really considering how well my Cabbages started, they have not taken too well to the clay soil. Hopefully I’ll get this right next year, but they are still growing and my neighbours cabbages were the same size last week and his are huge this week, so I live in hope. So far, not having grown a proper herb garden my only harvest has been a tiny bit of Rockett and a few Strawberries. Here are a few and there’s a few more to come. The peas are doing well though, I always wondered if they would take or be a failure, as peas and sweet Peas are really quite hit and miss. 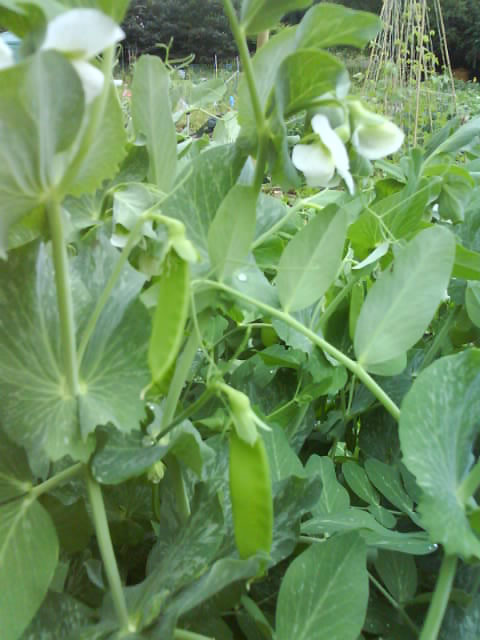 The peas now have little pods on them and I’m keeping my eyes open for the first swelling pods. 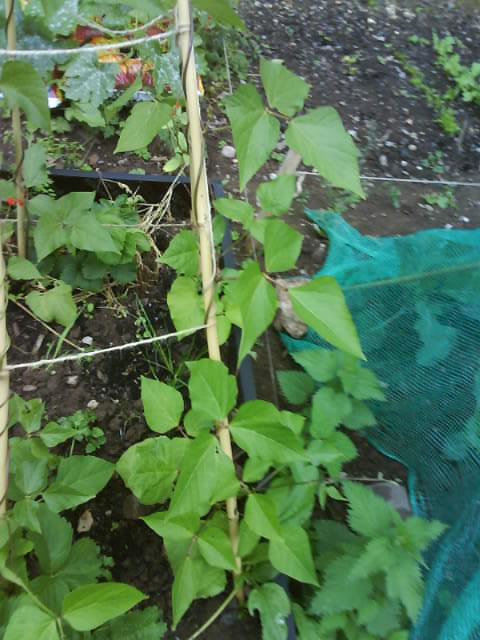 The Beans, of which I have two varieties, are a little slow, and I think they would have benefitted from larger canes, that said, they seem healthy enough, other allotment holders are showing results with their runner beans..so in the next couple of weeks we might be in the same position. Well, I bobbed up to the allotment yesterday with my daughter, she’s only 6 and was my assistant for the day, not necessarily her choice. Due to one thing and another we were behind on the allotment, after going away for a week, and then spending 2 days at a conference the weeds were knee high, and the Carrots, Beans and Cabbages all needed putting in. After the debacle with the Raised beds (not having a chordless drill) I decided to crack on without them for now. The weather was bloody scorching and we were against the clock. I made a list and Martha was in charge of checking things off, We finally arrived up at the allotments at 12.PM to the embarrassing fact that I had forgotten it was the day the Allotment Society were having a stall, planting a wildflower garden and making Bird Boxes. 2) We only had a very finite amount of time, So I really couldn’t get involved in the planting trees, and wildflowers. We had a ruckload of beans, Courgettes, Cabbages and Carrots to get into the ground. I set Martha a number of little tasks, like picking up sticks, weeding, picking up stones and she did well. Those were the hard tasks for a little kid, because they were so boring. Once we had cleared a couple of paths I dug the main bed over and we put in several rows of Carrots and Cabbages. Martha helped with separating the seedlings and the planting. We were amazed at how cute the little Carrot seedlings looked, with their diddy wee carrots. After we had finished putting the rows in there were a few wee carrots left so, I asked the neighbouring plot owner if he wanted them. He accepted and then presented me with a tray of leek seedlings, which I put in today. With the Veggies in, it was time for the netting. 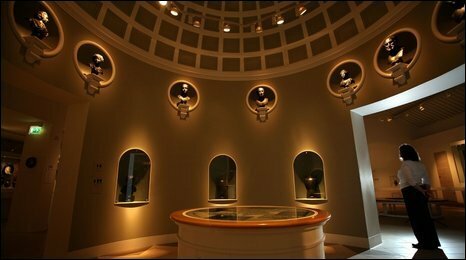 Before I went away to Wales, I had speculatively put a set of Cabbages in to see how they would take. The big fat Wood Pidgeons decimated them. The Nets Went on easily enough by planting a cane at each corner of the bed, and one in the middle of each side of the bed. Next put a plantpot on top of the can to help hold the nets up, then simply weigh the nets down with rocks (we have an abundance of those). So, I’m pretty pleased now because despite being far behind a lot of the other plots the majority of my stuff is in the ground now. The rest is just maintenance and a few little additions. 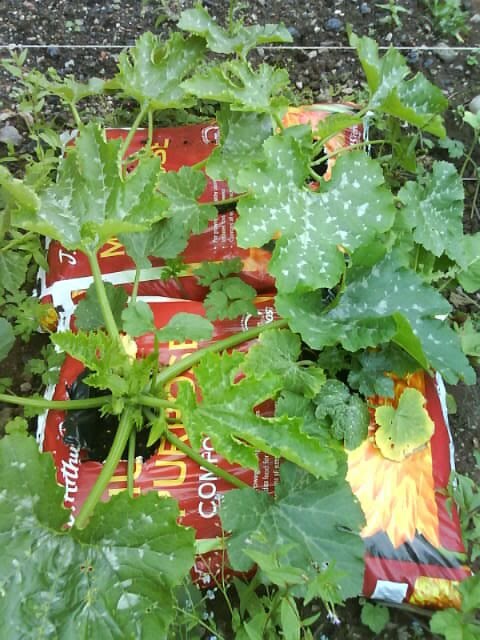 Today I bought the grow bags for the Courgettes, only the onion seedlings to plant out now and planting is done. 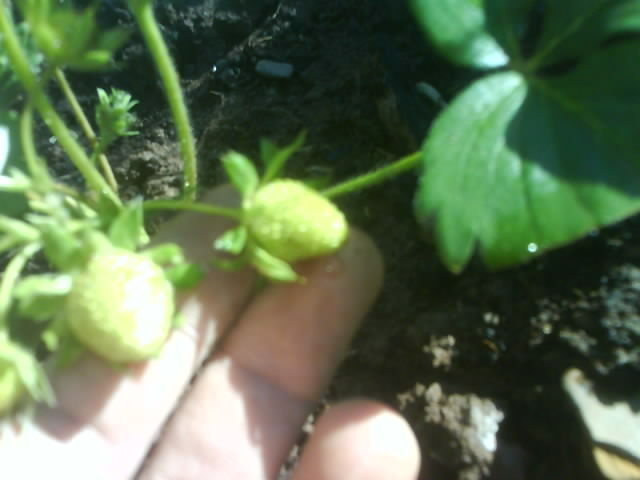 One more thing, the Strawberries are fruiting, Yay! After a week in Wales I was eager to see how the allotment was coming along. I expected a lot of growth as there has been a week of sun and some heavy rain. I was surprised to see how much everything had grown though. Just one week ago the two rows towards the back had barely broken the soil, the front rows are bigger than this picture can demonstrate. 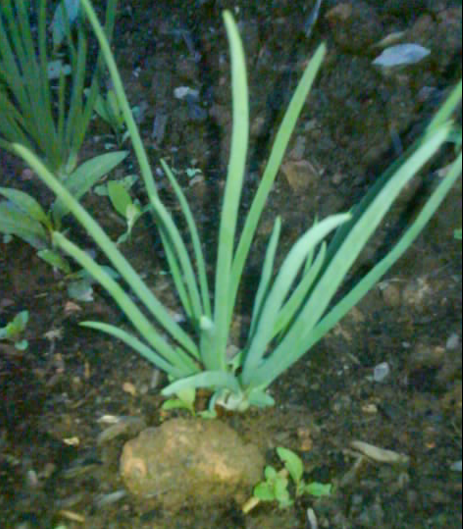 The onions are doing pretty well too. I have finally stopped worrying about the onions. they seem to be doing really well. Gardeners are warned about using clay soils. I simply dud a trench and mixed filtered soil, and plenty of compost together and hoped for the best. So far so good. One thing that hasn’t done well, are my cabbages. I forgot to put nets up on the night I planted them, big mistake, they have been ravaged by pigeons. The allotment needs serious weeding so the nets can go up tomorrow night. 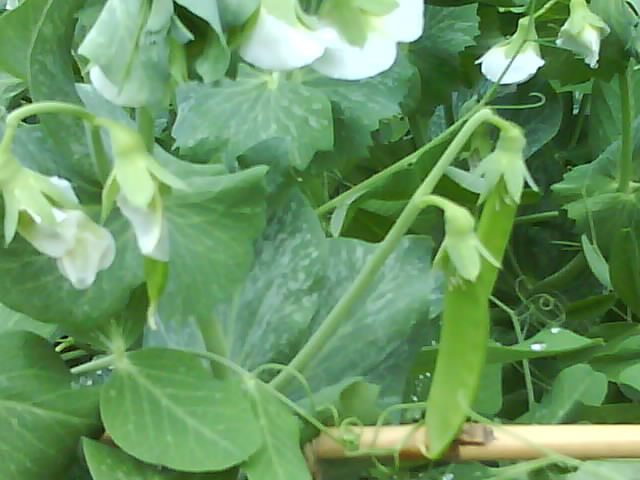 The Peas are slowly finding the frames and are looking healthy, the pigeons seem to have left them well alone too. The Runner Beans and Courgettes are going in this week, as the seedlings are more than ready to strike out in the big plot now. Now I like to experiment, and I kind of get some funnt looks with my latest experiment. I found a video on YouTube and thought I’d give it a try. When I explain to other folk down at the allottments they kind of just give me a funny look. It’s called the spudomatic. It’s simply a wire mesh cage..as the plants grow, just keep adding compost and soil 6″ at a time. Don’t just take my word for it though, watch the video that showed me how. 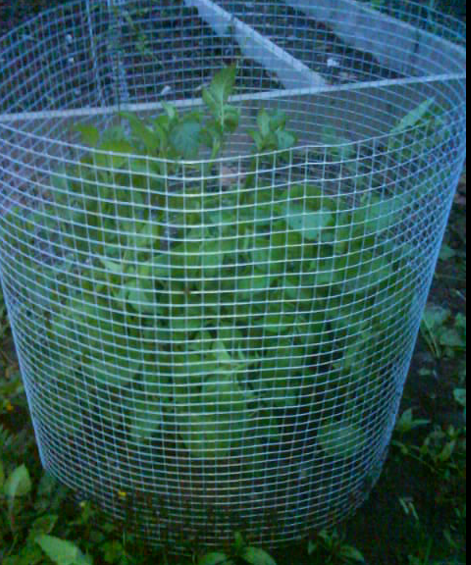 It’s simply a wire mesh cage..as the plants grow, just keep adding compost and soil 6″ at a time. As a mixed race man who considers himself British and indeed English, you may be surprised by what I’m going to say next. I think the BNP have some good policies. I UNDERSTAND what they mean about preserving the white race, I personally don’t want to see any group of people disappear. I like their ideas on crime, if perhaps a little draconian, at least they are taking a tough stance. However, I have been critical in the past of the BNP because of their approach to race issues. We all know that race is the sticking point that the BNPcan’tt seem to get over, it’s what stops them from gaining any real power across the country. Being born of the NF the BNP started out racist, had racist views from the outset yet, recently, they claim to have changed. Now, I’m not saying all BNP supporters are racists, but be sure, some are. Probably a lot are because the BNP are the party that wants to restore Britain to what it used to be before non white immigration happened on large scale. Since I have started writing articles for Pits and Pots, as opposed to just making the odd comment, I have decided to try to be as impartial as possible. Rather than shouting at, and about people because I don’t agree with their views I’m trying to listen, and question them. the Baroness Warsi Interview http://pitsnpots.co.uk/news/2010/04/pitsnpots-meet-baroness-sayeeda-wars… and the two Interviews with Simon Darby and Mike Coleman. I want to understand the views of people before condemning them. Thursday was a very interesting day. I went to the Civic Centre with some trepidation, not knowing what to expect. I have to give the BNP their dues in certain respects. Everyone was polite and courteous and I chatted to a few of the BNP workers who were there before I got to the politicians. 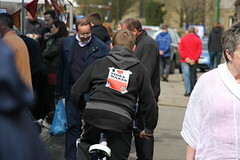 I asked one of the BNP security team what leads someone to join the BNP? He told me that he came from St Helens, and that the town had been decimated by unemployment after all the mining and industry had been wiped out. I asked if the town had a problem with migrant workers and he told me it was something like 97% white. He was a man of few words really, but I didn’t get the impression he was massively motivated by race issues. The camera man was decent too, whilst setting the camera up in the chamber, I spotted a camera that was set up properly and had used gaffer tape to make the mic lead safe and not a major trip hazard like so many of the others. I asked a small bald headed chap if he had any gaffer tape I could borrow, he said ‘yeah sure’ and disappeared off to fetch it for me. Only later on did I find out that he was the BNP camera man. The conversation was alright, although I did a fair bit more talking than him, that’s just me though, and I was a bit nervous about being in a 12ft square room with Nick Griffin and 2 large members of his security team. However, once inside the room everything was fine. Griffin is an old hand at being interviewed and isn’t without his charm. He was well mannered and good humoured. Despite our little hitch with the mic, the Griffin interview went off well, the strangest moment for me came as I was packing up my camera, After shaking hands with Tony, Mr Griffin looked up at me as he rose from his chair, he smiled warmly and offered his hand. I don’t really know what I had expected really, I had always known this could happen but had assured myself that if I lurked in the background I’d be ignored as a mere assistant, and not have to face a personally awkward situation. I think I froze for a second, and I’m sure that showed on my face but I smiled and shook hands. It was a difficult one for me because despite trying to be professional in the way I approach all stories. Nick Griffin is still the leader of the only party that, until recently didn’t allow non whites to join. I seriously oppose racism of any kind and to shake hands with someone who may want to potentially expel me and my descendants from the country is a strange emotional sensation. Manners is the order of the day though and I wasn’t about to be rude to anyone who had shown me hospitality. Whether or not the BNP have really moved beyond their racist roots or not is irrelevant, if I’m to do the job of reporting political stories with any integrity, then professionalism must guide me, not emotion. After the Griffin Interview I had the opportunity to interview Deputy Leader Simon Darby and local councillor and PPC Mike Coleman. Simon Darby had been great with us all day, he was chatty and made sure we were before the mainstream media in line for the interviews with Nick Griffin. This is because pitsnpots always try to be fair with everyone we interview and give them the opportunity to have their say and let the readers decide. The established media actually barged past us and forced us to be last, however, that wasn’t Mr Darby’s fault, more our own naivity and inexperience in standing our ground. When we sat down Mr Darby was relaxed and gave well considered answers. If anything was lacking it was my own questions, I could have queried him a little more forcefully on a couple of points. My style isn’t adversarial though, in real life situations I am certainly more gregarious but when Interviewing I at least try to let the interviewee feel comfortable because I want them to talk, not lock up. I also want my interviewees to walk away thinking that I was fair, and that any information offered by accident was more their their error than my aggressive attempt to trip them up. 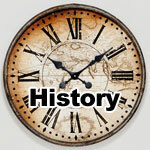 Like this http://news.bbc.co.uk/1/hi/programmes/the_daily_politics/8639811.stm . Whilst I thought her questions were actually very good, her manner was abrasive and put Simon Darby in the Defensive, thus we didn’t get the answers. Perhaps Jo coburn thught she was upholding the rights of the people by dismissing Mr Darby in a terse manner, but I think her interview style simply made him appear to be the victim of a biased media. That’s what sticks in peoples minds, not the fact that he dodged the questions. Building a relationship with the people you interview is, in my opinion more important than sensationalism. Only over time can you really get a true feel for the people you are interviewing. Simon Darby has a serious demeanor and steely grey eyes which could un-nerve anyone, but he’s a no nonsense guy, and someone I feel is willing to answer questions freely if approached in the correct manner. The BNP seemed a lot better in the flesh than what one is able to glean from the internet and newspapers reveal about them, lending some weight to the BNP’s argument that the media is biased against them. Having been at the launch from start to finish, I know what went on, I know what was said and what wasn’t, but on the evening of the event the mainstream medias coverage was poor and paltry. Considering that they waited all day for their interviews, they certainly took it out on the party by way of their reports. They chose to focus on the man dressed as St George, more than the content of the manifesto or the words of the politicians. I’m not a trained journalist but I believe that this approach is wrong. Whether you like the BNP or not I believe they have the right to speak, and that only by analysing and delivering the words of politicians can we ever hope to understand what they really stand for. It was only 13 Years ago Nick Griffin told Roger Cook that ultimately he would force non whites to leave whether they wanted to or not. This Thursday we saw Nick Griffin promise to protect the rights of “settled minorities” who had paid into the system and earned their right to be British. Within the last Decade the BNP has had links with more extreme organisations, and more worryingly what Mr Griffin told a group of White nationalists about the sort of language that needed to be used to win over the British public. These are the things that I believe the BNP need more questioning on. It’s no good shouting “ Nazi Scum” and throwing eggs at people, that isn’t democracy. Listening to the words, and scrutinising is really how to make informed choices. Without hearing the whole story, who can see the wood for the trees? I have always believed in getting young people involved early, and it’s inspiring to think of young people who are actually embracing technology, and learning new skills. Like a young man I know. 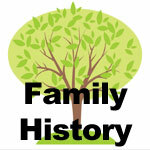 He has persistently sought out help and worked in his spare time to create his very own blog. that is something worth commending. although his first blog is just for fun “Crazy skeleton” is laying the foundations for a what could be a promising career in IT or journalism by learning the skills now. The MOD sent Me this letter the other day. I had to reply. The person who sent me the letter was either lying or terribly misinformed, you decide. My response is below the letter. I am writing with reference to your report of an ‘unidentified flying object’, seen on 1 November 2009 over the Matlock area in Derbyshire. I have been asked to reply as this office is the focal point within the Ministry of Defence for correspondence relating to UFOs. Firstly, it may be helpful if I explain that the Ministry of Defence (MoD) examines any reports of ‘unidentified flying objects’ it receives solely to establish whether what was seen might have some defence significance; namely, whether there is any evidence that the United Kingdom’s airspace might have been compromised by hostile or unauthorised air activity. Unless there is evidence of a potential threat to the United Kingdom from an external source, and to date no UFO report has revealed such evidence, we do not attempt to identify the precise nature of each sighting reported to us. We believe that rational explanations, such as aircraft lights or natural phenomena, could be found for them if resources were diverted for this purpose, but it is not the function of the MoD to provide this kind of aerial identification service. It would be an inappropriate use of defence resources if we were to do so. The MoD does not have any expertise or role in respect of ‘UFO/flying saucer’ matters or the question of the existence or otherwise of extraterrestrial life forms, about which it remains totally open-minded. I should add that to date, the MoD knows of no evidence which substantiates the existence of these alleged phenomena. Thank you for your reply to my UFO report. I appreciate you taking the time to acknowledge my sighting. I too am sure there is a rational explanation, however, I did only report the incident to the MOD because I thought it was my civic duty to inform you. I hope I did the right thing? With regards to your statement. The recent release of documents through the freedom of information act would suggest that the MOD certainly has lots of evidence to substantiate the existence of these “alleged Phenomena”. The Rendlesham Forest Incident was so high profile that no one with an interest in Unidentified Flying Objects could miss it. Former MOD official Nick Pope, and Lord Hill Norton, who was an Admiral, First Sea Lord and Chief of Defence staff certainly took a very great interest in UFO’s and the (Rendlesham) case in particular. I presume that given your quoted statement, that you were unaware of the case. Please, for the sake of public information re-word your response to such sightings. To say the MOD has no evidence of UFO’s simply isn’t accurate, and will certainly be held up to scrutiny by more articulate people than myself. I enclose a quoted statement from Lord Hill Norton. Lord Hill-Norton is a five-star Admiral and the former Head of the British Ministry of Defense who was kept in the dark about the UFO subject during his official capacities. In this short interview, he states that this subject has great significance and should no longer be denied and kept secret. I know a good bit about the Bentwaters incident. I’ve interviewed a number of the people who took part in it, and what I have decided after careful thought, is that there are only two explanations for what happened that night in Suffolk. The first is that the people concerned — including Colonel Halt, who was, at the time, the Deputy Commander of the Base, and a lot of his soldiers — claim that something from outside the Earth’s atmosphere landed at their air force base. They went and stood by it; they inspected it; they photographed it. The following day they took tests on the ground where it had been and found radioactive traces; they reported this. Colonel Halt wrote a memorandum, which was sent to our Ministry of Defense. He has appeared on British television at least once, to my knowledge — possibly more often — in which he has repeated, effectively, what he said in that memorandum. What he said is what I have just described. That is one explanation — that it actually happened as Colonel Halt reported. The other explanation is that it didn’t. In that case, one is bound to assume that Colonel Halt and all his men were hallucinating. My position is perfectly clear — either of those explanations is of the utmost defense interest. It has been reported and claimed — and I, myself, have raised it to ministers at the Defense Ministry in this country — that nothing they have been informed about regarding UFOs is of defense interest. Surely, to any sensible person, either of those explanations cannot fail to be of defense interest. That the Colonel of an American Air Force Base in Suffolk and his military men are hallucinating when there are nuclear-armed aircraft on the base — this must be of defence interest. And, if indeed what he says took place, did take place — and why on Earth should he make it up — then, surely, the entry of a vehicle from outer space (and certainly not manmade) to a defence base in this country also cannot fail to be of defence interest. It simply isn’t any good for our ministers — and the Ministry of Defence in particular — to say that nothing took place that December night in Suffolk, or that it is not of defence interest. It simply isn’t true. Since my name has become connected with UFO matters in quite a big way in this country, and in one or two other countries too, I have frequently been asked why a person of my background — a former Chief of the Defense Staff, a former Chairman of the NATO Military Committee — why I think there is a cover-up, or what the reasons may be for government’s wishing to cover up the facts about UFOs. A number of explanations have often been put forward. The most frequent, and perhaps the most plausible, is the government’s concern (which [is] primarily that of the United States, and that of my own country) over the public’s reaction if they [were] told the truth — which is that there are objects in our atmosphere which are technically miles in advance of anything that we can deploy, that we have no means of stopping them coming here, and that we have no defense against them, should they be hostile. I believe governments fear that if they did disclose those facts, people would panic: people would rush about and jam switchboards like they did that famous day in New Jersey, when there was a spoof that the Martians [had] landed — people will go mad, and they will jump up and down. I don’t believe that at all — I’ve said so in print. I do not believe that people today, in the 21st century, are going to panic at that sort of information. After all, they have put up with the introduction of nuclear weapons and the destruction of two Japanese cities 50 years ago. They take as a matter of course that we can land vehicles on Mars — land to the precise instant, forecast years before. So why should they panic? They are much more interested in doing the pools or the lottery. They would shrug their shoulders and take it as a matter of course. Anyway, they don’t trust politicians, in my experience. What I’d like to say is that there is a serious possibility that we are being visited — and have been visited for many years — by people from outer space, from other civilizations; that it behooves us to find out who they are, where they come from, and what they want. This should be the subject of rigorous scientific investigation, and not the subject of rubbishing by tabloid newspapers. It seems to me that the Bentwaters incident is a classic case where an apparent intrusion into our airspace — and indeed, a landing in our country — occurred, which was witnessed by serious-minded people in the military — responsible people, doing a responsible job. And, Bentwaters is, in a sense, a benchmark for how not to deal with these matters in the future. I should have posted this in June but decided to hang fire for a bit as there was a bit of umming and arring as to who had actually won the competition. 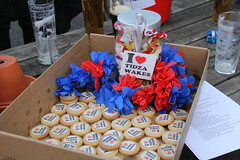 Well done wedgwood, and thanks to all who voted.